There are currently 30,291 users on this website. 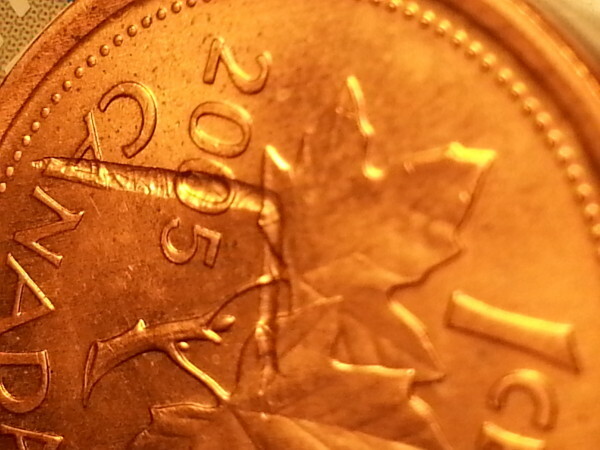 Third which I can't explain how the leaf and cent got doubled in the groove? One more thing can anyone care to give me a value on it? 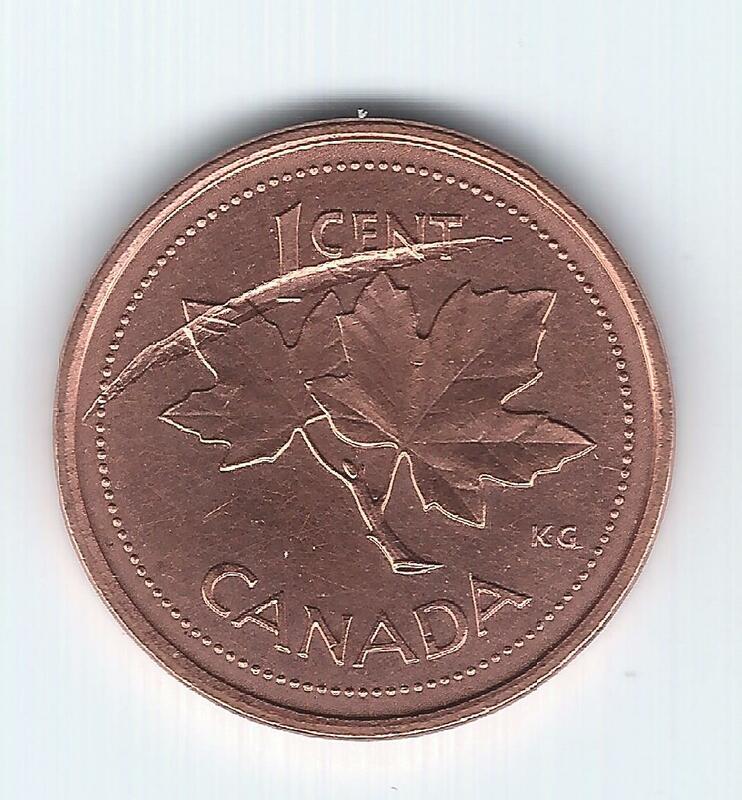 You have what looks like a coin that was struck though a pie e of loose metal or something hard. Basically something got stuck between the die and coin before it was struck, afterwards the loose piece came off, but left a gash and some of the design elements on the coin. Wonder why there is no date on this coin? So Purelywasted if the piece of metal fell off after the last strike, shouldn't there be no design from it in the groove? And to Dennman it's a year 1992. Imagine you are on the beach, and you have a smooth patch of sand, now put down a piece of paper and a Toronto phone book side by side. Punch the piece of paper with your fist, then punch the phone book. Remove both and look at the impressions. Where the paper was, you should see your fist imprint (a little distorted) and where the phone book was, you should see a mostly rectangular imprint, maybe a slight impression where your fist hit. It is all about how thick and hard the relative piece of each metal is, the die is very hard, the piece of metal that fell off was relatively thin and softer and the copper penny was the softest. For the reverse example, try same thing on textured concrete, with paper you will likely dimple/tear it and have bloody/sore knuckles, with the phone book you will have an impression of the concrete on the phone book and a sore hand. Nice example of a strike through.